Jem Grip Auto Tire have announced that they offer a full automobile repair and tire service. The company provides a range of maintenance, repairs and servicing options to their customer service in Coquitlam, BC. Jem Grip Auto tire has been serving the Coquitlam area for over 35 years, offering top quality auto mobile repair services. Their team are specialists in air conditioning, heating, brake repairs tires and full automobile services. They explain that they are known for their attention to detail and care for every vehicle that visits their garage. Their 11 bay facility is open six days a week and offers services for all vehicle types and makes. Their repair services offered includes batteries, brakes, suspension, exhausts, air conditioning, electrical systems, engine diagnostics, belts and hoses. The staff at Jem Grip Auto Tire are tire experts and can advise customers on the best kinds and brands of tire for their vehicles. They understand how each brand and type of tire works and can find the right tire for almost any car, truck, SUV, ATV, motorcycle, lawn and garden equipment, trailers and many more. They state that their state of the art wheel alignment tire machines and diagnostic equipment ensures that customers’ and their vehicles are provided with the best car service in the local area. 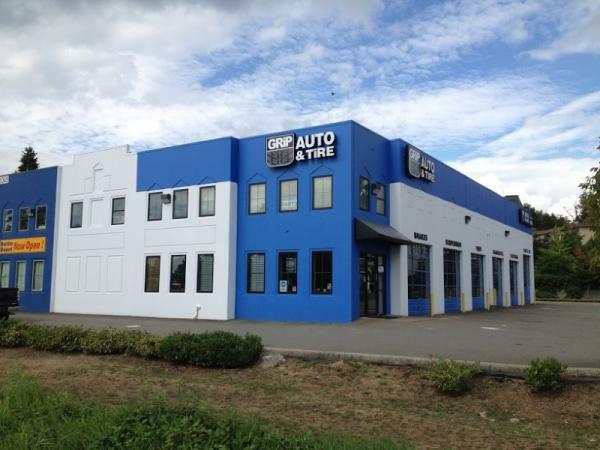 Those wishing to find out more about Jem Grip Auto Tire can visit 1045 Lougheed Hwy, Coquitlam, BC V3K 6N5. Alternatively, they can also be contacted on: 604-521-8334.